I have about 18,000 contacts and neither the Address Book or Contacts app have synced in the last three years, when I had about 10,000 contacts. What is the maximum number of contacts these apps can hold? And if I’m past the maximum, what should I do? I don’t believe there is a practical limit. Contacts (and Address Book before it) uses an SQL database to hold this information and, as far as I know, it’s unlimited for this kind of use. However, there may be only so many contacts that syncing services can manage. As for dealing with the problem you have a couple of options. The first is to retreat to a cave and never meet another person again. This will do very little for your current predicament, but it will help prevent it from getting any worse. If that puts too much of a crimp in your social life I’d suggest instead that you archive the vast majority of these contacts and, once archived, delete them from the Contacts app. 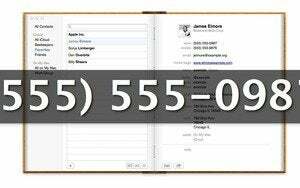 This will slim down your contacts database and, hopefully, make it more responsive to syncing. Before doing so, choose File > Export Contacts Archive. This will create a backup of all your contacts should something go wrong. Now, to deleting some of these contacts. To make that a bit easier, you could create smart groups based on information that you’re unlikely to need in current contacts; for example, any contacts without email addresses or phone numbers. Just choose File > New Smart Group and configure it along the lines shown below. Seek out other ways you can filter your unwanted contacts and create additional smart groups. Use smart groups like this to help weed out unnecessary contacts. Once you’ve created your groups, select their contents and choose File > Export > Export vCard. This will place everyone within the group into a single file, which you can later import into Contacts should you need them. Then, select all the contacts within the group and press the Delete key to send them into the void.